American Motorists Insurance Company is a provider of multiple lines of insurance based in Long Grove, Illinois. The company was originally incorporated in 1926 but has since been acquired and required several times. They are now part of the Kemper Insurance Group. American Motorists does not maintain its own separate headquarters or Internet presence; all of their business is done under the Kemper brand name. Enter your zip code below to gain access to online health insurance rates. A series of disciplinary actions taken by the state of Texas back in the 1990s caused the company to withdraw from that state and surrender its license. The records indicate they would have been eligible to return to Texas in 2008; it is not clear whether they have. Unfortunately, this company has a long list of legal troubles, which do not bode well for its reputation. As previously stated, the company was disciplined by the state of Texas numerous times between 1992 and 2003. Most of the disciplinary action came in the form of fines levied for not filing legally mandated paperwork on time. In 2003, the company ran into trouble with the state of Illinois and was subsequently ordered to cease and desist writing any new policies in any jurisdiction within that state. It appears that the acquisition by Kemper settled most of the Illinois issues. Furthermore, an Internet search of the company name revealed quite a few lawsuits involving American Motorists as defendants. The lawsuits do not seem to focus on any one particular problem or insurance product, so it appears that these things are widespread. Some of the lawsuits we found date back to the 1960s while others are recent; the last one we found was filed in 2008. Hopefully the Kemper acquisition settled these problems as well. The Kemper Insurance Group does utilize local, independent agents to represent them in individual communities. It is not clear whether those agents carry American Motorists products or not. 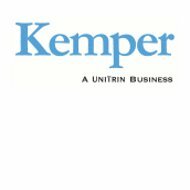 One would assume that since American Motorists conducts business under the Kemper brand name, you could possibly be covered by one of their policies without knowing it. With all that said, Kemper provides an agent locator tool on its corporate website. We entered our zip code, which belongs to a typical mid-sized American city, and were shown more than 30 agents within 20 miles of our location. All of these agents are Kemper representatives rather than American Motors representatives. It also must be noted that not every agent carries every line of insurance offered by Kemper and its subsidiaries. If you choose to get a Kemper quote from their website, they do provide an automated tool for that purpose. However, the tool it does not work in every state. In such cases, it will ask you for the required information, which is then forwarded to a local, independent agent. The agent will contact you to provide an appropriate quote. In states where the quote tool does work, you simply enter your information and wait a few minutes for the tool to return a number. Kemper’s online quote tool does not include health insurance under its list of products. With that knowledge, it is probably fair to say that American Motorists no longer underwrites health insurance policies or any of the other types of coverage they carried prior to the Kemper acquisition. Although American Motorists and Kemper are both licensed in multiple states, you will have to search for health insurance from among other carriers. Why not begin that search for health insurance quotes right now by entering your zip code in the box below?